TOP: Tracy Thomason (left) and Stacy Fisher (right), BOTTOM: Maria Walker. Installation views, The Shape Of Things To Come at NUDASHANK, Baltimore. NUDASHANK’s progressive bent can make most local commercial galleries seem downright uncouth. Arguably the crown jewel of Baltimore’s thriving DIY artist-run spaces, NUDASHANK routinely showcases emerging artists that are on a firm upward trajectory, like Nick Van Woert, Matthew Craven, Alex Lukas, and Benjamin Edmiston. Currently on view in NUDASHANK’s expansive downtown space are the works of Brooklyn-based artists Stacy Fisher, Tracy Thomason, and Maria Walker, all of whom work at the intersection of sculpture and painting to varying degrees. Co-curated by gallery founders and co-directors Alex Ebstein and Seth, The Shape Of Things To Come, a title with fateful connotations borrowed from a novel by H.G. Wells, is as airy as it is grounded in familiar materials and forms. 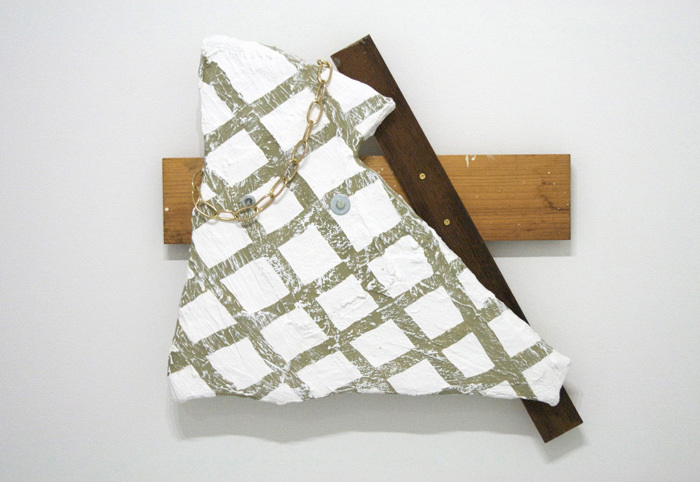 Stacy Fisher, Green Plaid Sculpture, 2008 | Hydrocal, wood, hardware, latex paint; 26 x 26 x 5 inches. 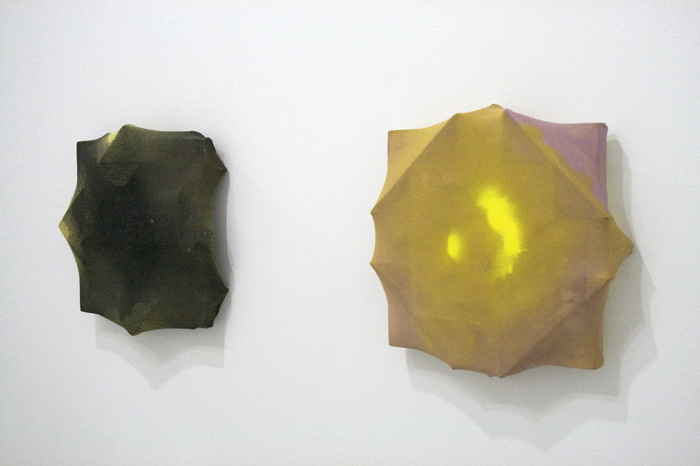 Stacy Fisher’s collection of strange objects, made primarily of plaster and wood, explore painterly forms that are buckled, off center, or otherwise visually disjointed from the two-dimensional canvas. Chromatically resembling abstract paintings yet taking on non-painterly functions, like casually resting on a wooden pedestal, Fisher’s dynamic objects manage to assert a kind of domestic familiarity that transcends their functional and formal oddities. Unlike Fisher, Maria Walker remains firmly on the canvas, giving conceptual prominence to the wooden support of her work. 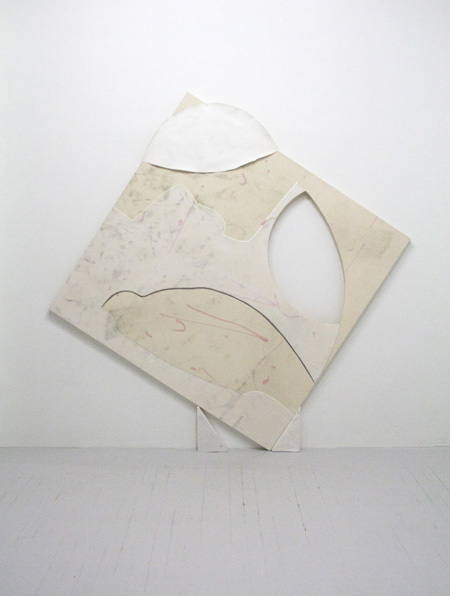 Pulling her canvases over improbably-shaped stretchers, Walker plays with the formal boundaries of her painting surfaces and reclaims the wooden frame as another tool for abstraction. She also considers the functional boundaries of her materials in other ways, occasionally using the stained wood of the stretcher as a painting instrument. 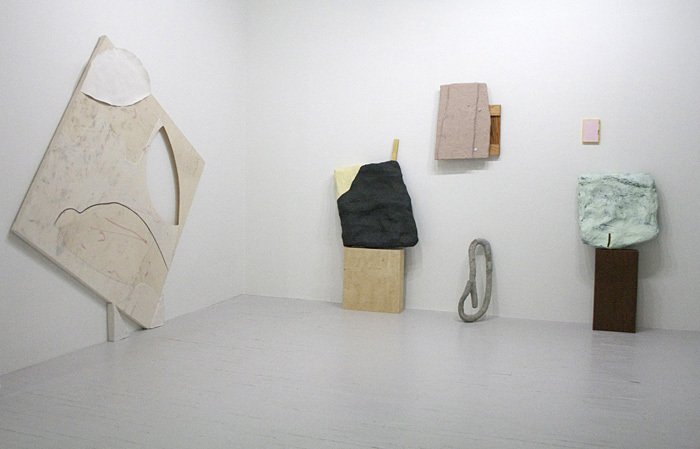 Installation view, Maria Walker, The Shape Of Things To Come at NUDASHANK, Baltimore. Tracy Thomason, like Walker, pushes beyond the traditional shape of the canvas. Combining conventional sculptural and painting media with intimately domestic materials — human hair from extensions, hair gel, self tanner — Thomason pulls abstraction into the realm of the body, treating her pieces much like some of us might treat ourselves in front of the mirror. This junction, where domestic convention encounters the unfamiliar, is an important concept for Thomason, Fisher, and Walker, referencing not only their own work but also broader reinterpretations of traditional approaches to abstract painting. 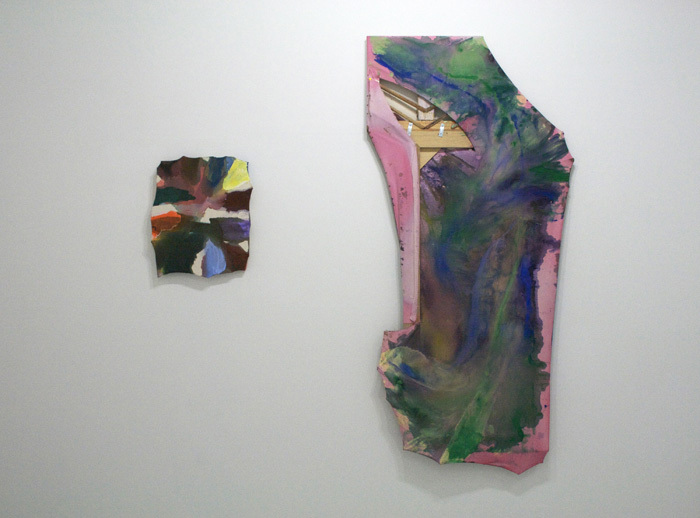 Installation view, Tracy Thomason, The Shape Of Things To Come at NUDASHANK, Baltimore. 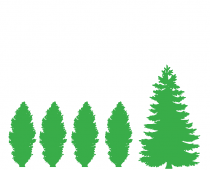 The Shape Of Things To Come will be on view at NUDASHANK through May 13. Benjamin Edmiston, featured the current MFA Annual, edition #93, of New American Paintings, will be included in the forthcoming group show, Radient Fields, at NUDASHANK.